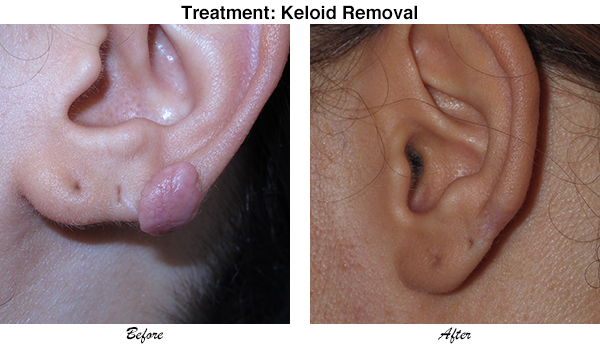 A keloid is an overgrowth of scar tissue that rises above the rest of the skin and tends to grow progressively. 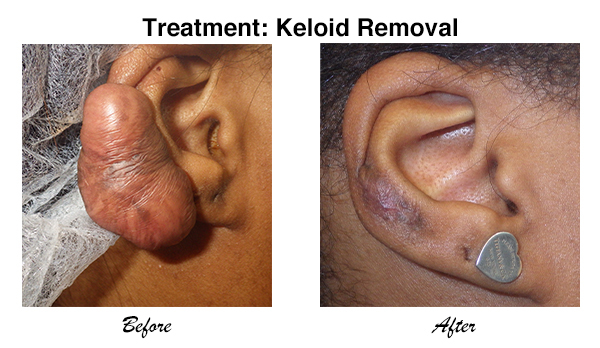 Keloids generally appear after an injury but could also appear following surgery, or as a result to trauma to the skin such as inflammation from acne, burns or piercings. Also, you may be genetically prone to keloids. Those of African and Asian decent tend to be more susceptible to keloids. 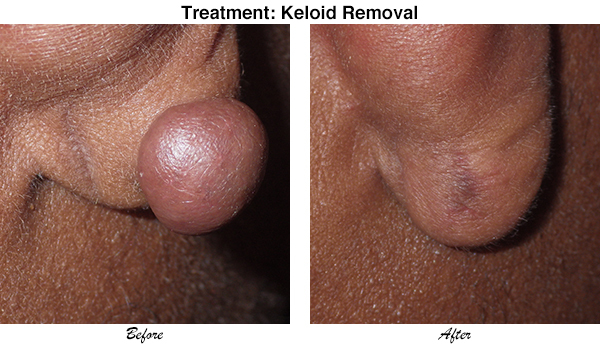 Dr. Cornell McCullom has successfully removed keloids for many patients. 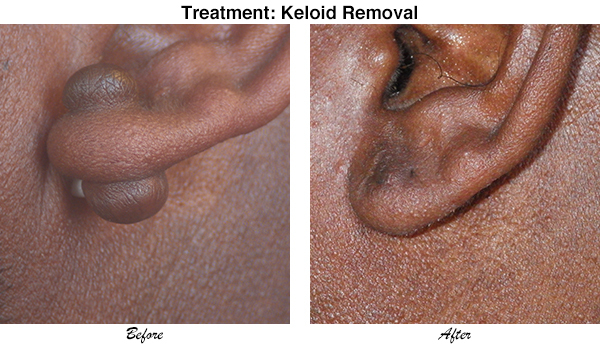 He has developed a technique that successfully removes keloids and will leave you feeling confident! Contact us so that we may schedule you a consultation with Dr. Cornell McCullom. Be sure to contact our office soon.